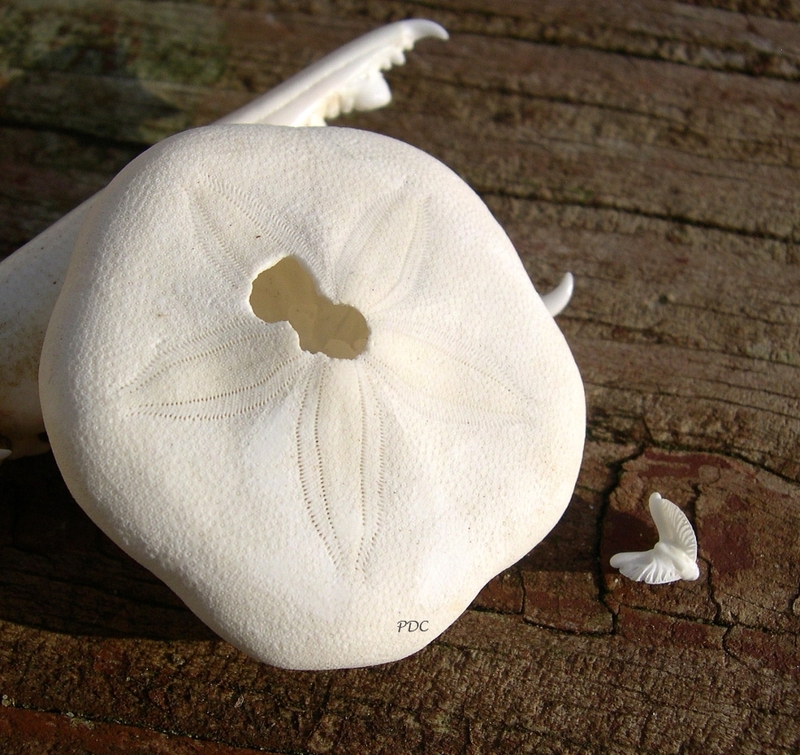 The Legend of the Sand Dollar poem and the Christmas season both have Jesus in common. 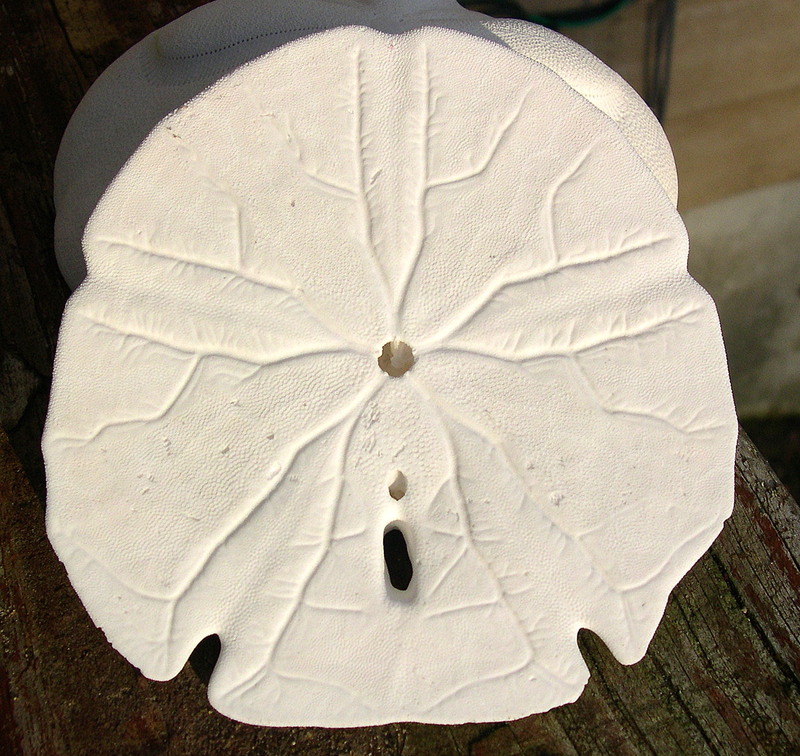 There are a few varieties of sand dollar and the legend seems to have been written about one in particular – the keyhole sand dollar as it references the holes in it. I don’t have one, so I’ve added my picture of a sea cookie, which is a small, puffy sand dollar. The five doves are actually the jaws or teeth of the sand dollar, but they actually do look a lot like doves. The Legend also describes a “star” on one side and a Christmas poinsettia on the other. The star shape is easy to find on the top of all sand dollars and I don’t have a picture of the underside of the Keyhole type, but here you can see the bottom of my Arrowhead. 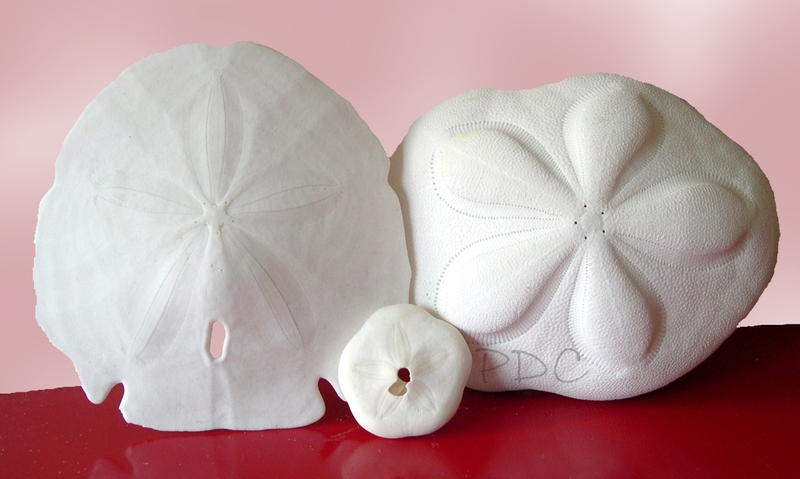 It’s not difficult to find the “Legend of the Sand Dollar” online, but they are not all the same. This one at Poetry Place is worded quite differently than the one at Quality Shells, but the message is still the same – a reminder of the birth (star) and death (holes) of Jesus and the doves that will fly off to spread Peace.